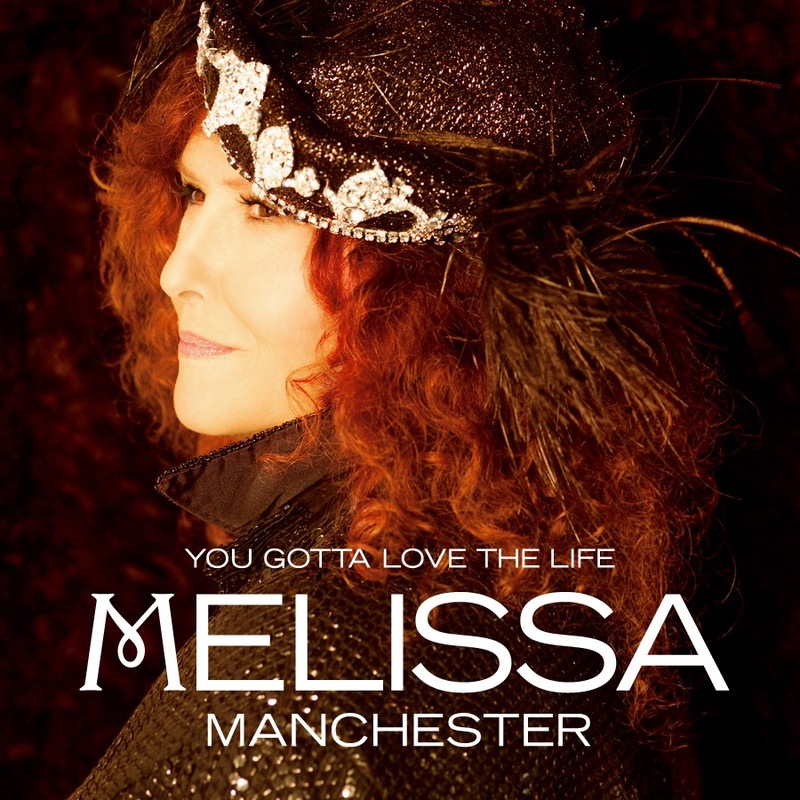 Melissa Manchester’s 20th album, You Gotta Love the Life, cashes in on 40 years in popular music (click here to pre-order or buy as CD or download). The San Fernando Valley resident, mother and singer/songwriter has produced her first new album in 10 years with a top-caliber team of producers, writers and musicians, including Dionne Warwick, Dave Koz, Al Jarreau, the late Hal David and Whiplash‘s Paul Reiser, among others, and she’s working on a new stage musical, too. After studying songwriting with Paul Simon, performing with Bette Midler and breaking out on Bell Records before working with Arista mogul Clive Davis (Whitney Houston), the Bronx native scored hits and acclaim throughout the 1970s and 1980s. Manchester, a musician’s and businesswoman’s daughter, emerged within the cultural context of the singer-songwriter trend with Home to Myself (1973) and other albums including Don’t Cry Out Loud (1978) and For the Working Girl (1980) before being nominated for two Academy Awards for Best Song in the same year and winning the Grammy for her hit “You Should Hear How She Talks About You” in 1982. 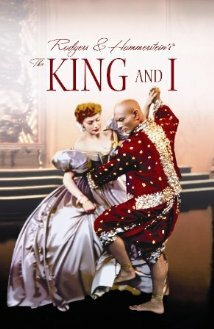 Melissa Manchester went on to record Mathematics in 1985, Christmas and tribute albums and a song for Sydney Pollack’s epic Out of Africa, which won the Oscar for Best Picture. You Gotta Love the Life came to my attention a couple of years after we met during a screening of The Weinstein Company picture Dirty Girl (read my 2012 interview about the gay-themed movie co-starring Mary Steenburgen and featuring Melissa here). I had heard about the work in progress and I attended recording sessions in 2014. What I heard enticed me to cover her newest career achievement, which officially premieres after an album release party at a new Beverly Hills jazz club next week. This is a partial and edited transcript of our September 11, 2014 interview in Burbank, California. SCOTT HOLLERAN: Now that the album is finished, which is your favorite song? MELISSA MANCHESTER: Oh, I don’t have a favorite because each song was such a process—to find the new world of these songs—and they didn’t come to life until we were in the studio. They lived in my head. I’ve never heard them fleshed out, so there’s no favorite song. SCOTT HOLLERAN: Is there one that you find yourself listening to over and over? MELISSA MANCHESTER: Well, “You Gotta Love the Life”, which was written last in the tradition of theater—in theater, the opening [song] is written last because you have to find out what the whole show’s about—and, although I always knew that was going to be the title, the actual song wasn’t completed until we got it to the studio. The parts had no ending and the musicians and [co-producer] Terry Wollman and I all looked at each other and said: ‘how does it end?’ And we said, ‘well, we don’t know yet.’ So everybody just stood around while we charted the ending of the piece and of course to have Lee Thornburg’s horns—with his Tower of Power fame—really captured the jaggedness of the life of all the music I ever grew up with that I loved [including] the angularity of growing up in New York, the quirkiness of this version of normal. I’m big on versions of normal because, as I get older, I realize that the way I grew up was so unusual. The value of it for my sister and me is incredible. So, at this point, now that I’m deep into my life and this deep into my career, time becomes fluid and I look at what I’ve learned along the way and in that song particularly for me. SCOTT HOLLERAN: What’s the impetus for the first single, “Feelin’ for You”? MELISSA MANCHESTER: It was written while I was doing research in the Mississippi delta years ago. I was with some people in a juke joint—a shack where you go to listen to music and drink—and there was this guy who was clearly, really drunk. He made his way to me while people were dancing and getting loaded and he said to me, in this gravelly voice, ‘are you married?’ And I said ‘yes, very.’ And he said, ‘oh, that’s too bad, ‘cause I got a feelin’ for you.’ I thought to myself: I could write that song. Then, I got a chance to sit down with young Sara Niemietz and said we should write this song and it sort of fell out—it was fantastic producing with Keb’ Mo’ because he really understood the blues. He helped to pull out its authentic core so the song really sounds as if it comes from a real place. SCOTT HOLLERAN: You talk about the blues. What genres should one can expect from this record? SCOTT HOLLERAN: And they’re able to hold both the context of illusion and going back into the story—? MELISSA MANCHESTER: Absolutely and it doesn’t just apply to 20-year-olds who have grown up with new technology. It’s anybody who comes to listen. Whatever ride I want to take them on, they’re open to the journey. It’s unbelievable. SCOTT HOLLERAN: What emotional impact does this have—does the audience investment energize you as an artist? MELISSA MANCHESTER: It certainly makes me feel more empowered, because the old paradigm was that I signed a contract with a big record company, which was essentially a bank, and the engine to get the product out, and, at the end of the day, even when I made back all of the money that they fronted me they still owned the master [recording], which is awful but it’s the conventional way of doing business. Now, we’re trying it a new way. This is really the first album where I’m responsible for all of the choices. It reflects my desire to complete the circle of how I started making albums, which was being with a bunch of guys in a room working on new songs. I’ve made an album where I was tracking stuff—and it’s more fun having people around. MELISSA MANCHESTER: Oh my gosh—yes. SCOTT HOLLERAN: Were there times when you felt that there was too much collaboration? MELISSA MANCHESTER: No. I felt so honored that these studio stars kept saying yes—I had a dollar to pay them—and they kept saying tell us when you want us to come back. Everybody was having a lovely time. Because we were recording this [album] at Citrus College [in southern California], where the studio is a classroom, and our engineer is a professor, not only did we have professional musicians of note, the students kept coming and watching. They had never seen live records being made. Then, when guest artists started showing up and the kids came, it was [like] this wonderful, breathing organism—plus, I would keep posting on social media to update audiences, so everybody knew what was going on. It was so touching at the end of the [crowdfunding] campaign. We said ‘thank you, we’ve crossed the finish line and we’ve got enough [money to complete the independently produced album]’ and people kept saying ‘please don’t stop posting’. I started to feel that just as I was finding my writing voice, so it was an unexpected gift. SCOTT HOLLERAN: You teach a class at USC. Does the accessibility help you navigate the new normal of funding and making an album? MELISSA MANCHESTER: Well, I’ve worked with some form of a band for a long time. [My manager, Susan Holder] and I have been working together for 31 years. Most of the band keeps saying yes and coming back. So, in terms of working with musicians, I’m used to it. Also, I brought Terry Wollman in to co-produce and other musicians who are very patient, because a lot of the songs are brand new. I’m not an educated musician—I am self-educated, and I convey ideas by singing them—so the musicians or Terry or Sue would hear things and say this is what she’s saying. It was beautiful. In terms of working my way into this new industrial age of social media and crowdsourcing, it came straight from my [University of Southern California Thornton School of Music] students. They would walk in with their new EP every six months with beautiful photographs, shrink wrap and credits and live songs and I asked them how they did it, thinking they would tell me about some independent record company. But they would say crowdfunding and they would say, ‘you should do that’. And one of my students, Barry Harris, walked us through different options and told us about choices, so we made the decision to go with Indiegogo. Barry really educated us educators. It’s beautiful. SCOTT HOLLERAN: What’s the feedback on You Gotta Love the Life? MELISSA MANCHESTER: We gave advance copies in Las Vegas—everyone in the audience got an advance copy—and feedback is wonderful and it’s so dear. Some favorites are “Feelin’ for You”, “You Gotta Love the Life” and “Claudia”, which is about my sister, and “No There There”. But it’s positive across the board and no one’s really picking out one favorite. They’re saying they like the whole thing. Someone said they always feel that they sit down with me and I ask what’s going on in their life and then I go off and write these songs. That’s very touching because the songs are mostly a reflection of what’s going on in my life. What I do know for sure, which is true in theater and true in songwriting, is that the more specific I am, the more universal the response. It just works out. SCOTT HOLLERAN: Has anyone said anything you don’t want to hear? MELISSA MANCHESTER: No. I haven’t had negative feedback yet. But we’ve just crossed the finish line. Because it is crowdsourced, it’s exhausting, so I’m aware of every nickel and every moment and it’s all on me. But I’m also not hearing from someone 3,000 miles away telling me to do this as a disco record. It’s grounded in the music and what I’ve been going through and seeing around me. One of the songs I wrote is called “You Are My Heart”, which I wrote on June 26, 2013, when the Supreme Court [in the Windsor v. United States case] struck down [President Clinton’s 1996 law] DOMA [the Defense of Marriage Act prohibiting gays from marriage]. My dearest friend had been with his partner for six years but he wasn’t free to marry. So, on that date, I texted him and asked ‘do I hear wedding bells?’ We started a conversation by text and I said I was thrilled that his life was about to change and he signed his text ‘you are my heart’, so I said [to myself] ‘I can write that song’. That’s how it shows up for me. Life just shows up in songs. So, I wrote “You Are My Heart” and sang it at his wedding. At some point, maybe it will just be a wedding song—not attached to anything in particular. It was inspiring—a moment [can be] inspiring. SCOTT HOLLERAN: What was the hardest song to write? MELISSA MANCHESTER: Well, the hardest song to finish was “You Gotta Love the Life” because I really wanted that to reflect my walk. You know, there’s a very short list of songs about show business. Over the years, there’s “There’s No Business Like Show Business” with the lyric “Let’s go on with the show”, “Let Me Entertain You”, “Putting it Together” and “On Broadway” and I very mindfully thought of what my angle was. “On Broadway” is about trying to get in, “There’s No Business Like Show Business” is about whatever and I really wanted to reflect what I knew to be true. The waking up and not knowing where you are, the rigors of being in relationships knowing you’re going to be leaving, the emotional cost, the financial cost, the risk of it all the time, the odds being against you all the time, the fact that you’re always auditioning—the audition is never, ever over—never—and, yet, there’s just something, the hunger that’s really live and palpable and you go nuts if you don’t do it, you go nuts if you don’t write songs. “You Gotta Love the Life” was hard to finish because I had to find the language. I had to find the singable language that was authentic to the story I was trying to tell. Sue would say, ‘we’re going into the studio and we need this song’. Sharon Vaughan and I started writing it but I wanted a complete song which means bridges—I like bridges, I’m very big on bridges because it wraps it up—and I knew that the bridge had to give this vast overview, this list of what it feels like and sounds like with a nod to the humanity of it. So, I stood in my shower, which loosens stuff in the far right rear of my brain, and I started to feel the words of the bridge come out. As soon as I started to feel the first part come out—“Late nights/missed flights/wondering what city I’m in”—once I could feel that language show up, I had something to hang on to. The character was expressing herself. So, I thought, keep digging. Keep digging. SCOTT HOLLERAN: What was the easiest song to write? MELISSA MANCHESTER: “Feelin’ for You” rolled off. That’s part of the value in having a collaborator, you do use them—not diminishing what people contribute to songs—but I do know that when I’m sitting across from somebody who’s talented, it keeps me loose. SCOTT HOLLERAN: Do you try to work with people who are equals or those whom you think are better? MELISSA MANCHESTER: I only try to work with equals and people that are better than me—I only want to be surrounded by people that are smarter than me. Otherwise, I move to hurt people, they just bore me. “Feelin’ for You” was written by a very young artist who has a fantastic voice, Sara Niemietz. She is very talented. She had worked on 22 Jump Street and she’s performing all over. There’s something very unusual about her voice and the tone of it. So, when I would hear her just sing when we were writing this [song], it kept the next image going because I didn’t actually write about that drunk guy coming towards me—what I used was the attitude of the language. That’s how I pull suggestions to inform how I write. SCOTT HOLLERAN: What new ground do you break? MELISSA MANCHESTER: The sound, the concept, the songs, the choices—it’s all a reflection of me now. It’s very personal but very specific—nobody said ‘do this song.’ Nobody said ‘don’t do that song’. It’s more authentic. This is all me. If you like it, we can have lunch. If you don’t, well, have a nice life. There was no insinuation of how I should really be doing this for my own betterment. There was no interpretation of me. It’s just the fleshed out ideas to their beautiful and natural ending. It’s about musicians bringing it, the result of beautiful guest artists opening up the songs. It’s not a duo album but my connection to these artists is real. These are the artists I wanted to work with. SCOTT HOLLERAN: Please give me a one word that captures the essence of each song on your new album. “Big Light”? MELISSA MANCHESTER: One word is really hard. “Big Light” is inspiration. Yeah. SCOTT HOLLERAN: “Feelin’ for You”? SCOTT HOLLERAN: “You Gotta Love the Life”? SCOTT HOLLERAN: “Be My Baby”? MELISSA MANCHESTER: Unfolding—because somebody else wrote the song and somebody else brought it into the world in a very different way. But, when I separated the way it was brought into the world and my response to it, it resonated to me. The song—the deeper life of the song—unfolded into an entirely different song. So, it serves an entirely different purpose. SCOTT HOLLERAN: It’s more somber—? MELISSA MANCHESTER: It is. It’s dreamier. I’m big on weariness. Weariness is in a lot of my songs—it always has been. It’s in “Midnight Blue”. It’s in “Come in from the Rain”. It’s just true. I don’t know why, but, oh, well… I feel that in the way I interpret “Be My Baby”. It’s hopeful weariness. It’s the state of humanity where, if you live long enough, even when you’re hopeful, life is wearying—but it’s simply the best idea around, so we forge on. That’s what this interpretation of “Be My Baby” is about. SCOTT HOLLERAN: Is “Other End of the Phone” a love song? MELISSA MANCHESTER: Well—it is, I think, but because it is sung between Dionne Warwick and me, it’s another kind of love song. It’s the ultimate, deep friendship song. It’s that kind of love, I think. It could have been a romantic kind of song, but once Dionne said ‘yes’, and I let [Hal David’s] lyrics be between two women, it was what you hope for your 3 a.m. friends—that, when you need them, they’re there. It’s Hal David’s last lyric and it’s Dionne Warwick completing that circle because her career was built on his lyrics with Burt Bacharach’s music. SCOTT HOLLERAN: “You Are My Heart”? SCOTT HOLLERAN: “Let’s Face the Music and Dance/From This Moment On”? MELISSA MANCHESTER: Everything old is better again. “Let’s Face the Music and Dance” is, in one word, fabulous—it’s fabulous. “From This Moment On” is, for me, triumphant. MELISSA MANCHESTER: Sister. My beautiful sister. SCOTT HOLLERAN: “Your Love is Where I Live”? MELISSA MANCHESTER: One word? Melancholy. SCOTT HOLLERAN: “No There There”? SCOTT HOLLERAN: “Open My Heart to Your Love”? SCOTT HOLLERAN: “The Other One”? MELISSA MANCHESTER: Learning. It’s about what I learned about placing someone above me—placing my hopes and my value in someone above my own and the consequence of that. It’s [about] what I learned over time when I didn’t put myself at the top of a to-do list, where everybody else is at the top. It’s about the consequences of not putting myself at the top. SCOTT HOLLERAN: Is there a song on the album that captures when you do put yourself first? MELISSA MANCHESTER: “I Know Who I Am”. SCOTT HOLLERAN: “I Know Who I Am”? 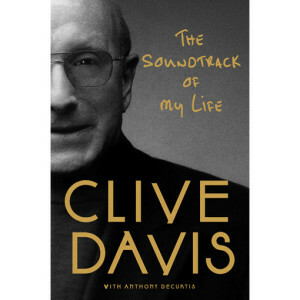 SCOTT HOLLERAN: Have you read Clive Davis’ book? MELISSA MANCHESTER: I have not. I have been told by people that I am the thorn in his side or something. SCOTT HOLLERAN: He writes about what you were saying about recording contracts earlier in the interview—that he thought you should have done this or that. How would you describe, for someone who doesn’t know, your relationship with Clive Davis at Arista? SCOTT HOLLERAN: —But Clive Davis wanted you; he sought you out? MELISSA MANCHESTER: Yes, he did. He absorbed the three of us and that was great. I was the only one of those three who was an album artist. I was officially designated as an album artist. So, I thought life was going to sort of continue on—I had auditioned for Clive years earlier and was not accepted—so when I made the Midnight Blue album, it was lovely. I was left alone. Everything was supportive. We were in the studio—it was lovely. Then, Midnight Blue came out. Radio was still changing, so we were still doing very long promotional tours in primary and secondary markets in 1974 and I was told that Midnight Blue was unusual and that it was touching people and, as they say, the only thing harder than the first single is the second single. So, when we went to make Better Days and Happy Endings, I was just continuing my process. The industry started to change. Electronics started to insinuate into music production. Producers started to become the centerpiece of what was going on. I didn’t quite get it, because the consequence of that is that the artist was given songs that would serve the sound as opposed to the artist. I thought well, why am I being invited to this party since anybody really could [do this]. Now, I was also very naïve. I have a letter from Clive that he sent me several years ago and his perception was that I was trying to be the next Joni Mitchell. My feeling was that her position had already been taken so I wasn’t really trying to become the next anything. I was just trying to become as good a version of myself as I could. I simply have a sense of what works for my voice so this electronic world was very non-acoustic and very non-vocal centric, but suddenly the vocal had to fit into this electro-centric world which was extremely uncomfortable for me. I wasn’t raised that way. I didn’t write on those instruments. I didn’t perform with those instruments. It was not in my world. It was grating. SCOTT HOLLERAN: Isn’t this an argument for the much-maligned motion picture studio system, where the artist is cultivated as an artist? MELISSA MANCHESTER: Yes—if you believe the artist really has talent, because what happens as a consequence of all of that packaging is that people who are not really talented become stars. MELISSA MANCHESTER: No, we weren’t. None of us were. Clive had the final say and, because he was so—you know, I saw him on an interview when his book came out and he said it was really all about business to him. It was never all about business to me. I just didn’t get that part [about business] until later. So, I could not engage in any of those discussions without being extremely emotional. We had great success and astounding failure. SCOTT HOLLERAN: So, even working on the profit motive, he made mistakes? MELISSA MANCHESTER: That’s exactly right. He remembers history his way and I remember history my way. He remembers bringing me “Don’t Cry Out Loud”. I remember being friends with Peter Allen and Carole Bayer Sager and hearing “Don’t Cry Out Loud” as a very quiet song, bringing it to him and saying yes, it’s gorgeous, let’s do it the way Peter did it—as beautiful and quiet. When I showed up in the studio and the cannons blew on this huge version—which turned out beautifully, it turned out as a gift. SCOTT HOLLERAN: Is there anything you would do differently? MELISSA MANCHESTER: If I had a deeper sense of myself, I think I would have tried to summon the kind of courage that Bruce Springsteen summoned when he sat out the last two years of his contract at Columbia Records. My brain went: ‘oh, let’s just get through it.’ So, I just kept making records. Still and all, it has taken as long as it has taken me to create this album. Indiegogo didn’t exist in the 1970s. It does now. I absolutely believe in divine timing. 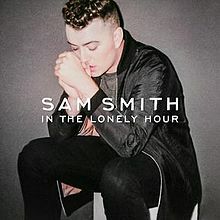 SCOTT HOLLERAN: Is this album the culmination of lessons you’ve learned—? MELISSA MANCHESTER: —Absolutely. This album is about everything I’ve learned for once and for all, about being soft with myself about what I don’t understand and reaching out to people who know more than me who can help me get my art out. I am sorry I didn’t stay in touch with Paul Simon after he taught me in a songwriting class when I was 17. It would be fun to send this to him and say, what do you think after 40 years. SCOTT HOLLERAN: Looking back at who’s really in your corner and who’s not—? MELISSA MANCHESTER: Susan Holder [is in my corner]. SCOTT HOLLERAN: Today is September 11. You’re a New Yorker. Do you have any thoughts on what happened on this date in New York in 2001? MELISSA MANCHESTER: The bad guys thought they could get away with it and our government did not pay attention to red flags and put them at the top of the list. It’s sickening what’s happening in the world right now, yet our president made a statement last night that says ‘that’s enough’. I was raised in New York when the phrase Never Forget was very real. That was after World War 2 and I remember the guy who sold me candy [when I was a child] who had tattoos on his arm from the [Nazi concentration] camps and he rolled up his sleeves in the summer, so that’s what I knew. The whole concept to me was, as [Winston] Churchill said, Never, never, never, never, never give up. For me, [September 11] means Never, never, never, never, never forget. SCOTT HOLLERAN: What do you think of Beyonce? MELISSA MANCHESTER: She’s formidable. Her message to young girls and men is very clear and coming from fantastic inner strength and clarity. MELISSA MANCHESTER: I don’t know anything about him but he’s really talented. SCOTT HOLLERAN: Who have you recently connected with as an artist that you listen to? MELISSA MANCHESTER: I listen to new music all the time. I listen to the college station. When I’m very stressed, I go back to listening to classical music. It slows me down and slows my brain down and forces me to follow its journey instead—it doesn’t reinforce chaos. What does break my heart, however, is that, while I was walking in the park the other day and these two young women were playing something out of their radio and I don’t know who the artist was but every line started with the N word. I thought to myself: you are breaking the heart of the universe. There is no argument—and I’ve heard them all—for why this is polluting the air. That said, Adele is fantastic. Alanis Morissette is great. I’m listening to my colleague Billy Child’s rendition of Laura Nyro, who was my muse when I was 17. I’ve been trying to reinterpret one of her songs but I can’t figure my way into one of her songs. I love Joan Armatrading. I love Michael Buble because he really understands the classics and yet he’s a really good writer. He really on some level connects appropriately. Some do those classics as a pile of notes. I like Usher. He’s certainly fantastic to watch—he’s a great dancer. SCOTT HOLLERAN: Which classic artist is underappreciated? MELISSA MANCHESTER: That’s tough to say because most were appreciated in their time. [Pauses] I think Laura Nyro is underappreciated. She was appreciated for a brief time for her connection to The Fifth Dimension—they recorded two of her early songs, “Bill” and “Stoned Soul Picnic”—and, with Joni Mitchell—they were the most exquisite poet songwriters of their day. They almost changed the shape of what a song could be. They created landmark songs. SCOTT HOLLERAN: Why didn’t Laura Nyro break through? MELISSA MANCHESTER: She left. She’d had enough. This article is based on an interview conducted on September 11, 2014.